T-Bars that stand for Tall Bars? Does your store have any T-Bars? Do your necklaces touch your counter because they’re not tall enough? Look no further! Our 24″ T-Bars will be a very special decor for any store. 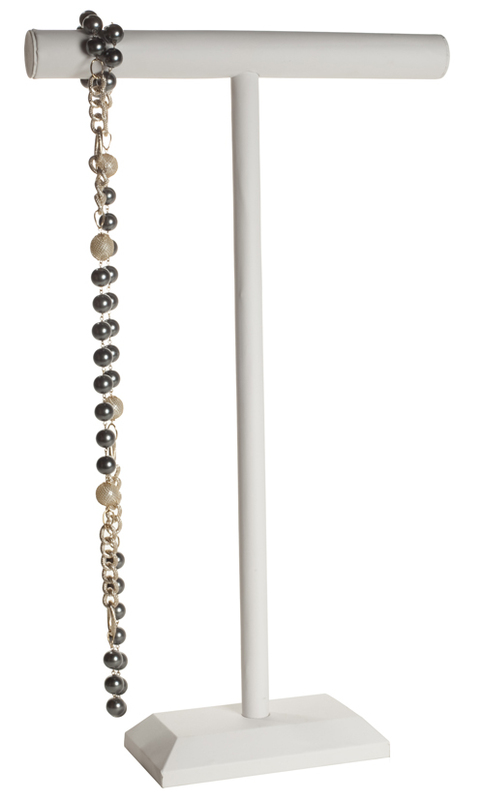 They are extremely tall for the purpose of displaying long necklaces or even bracelets at a new height. 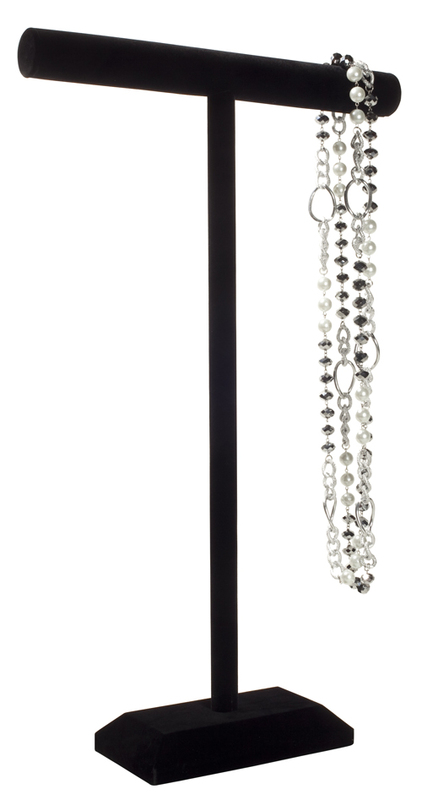 With your necklace or bracelet display hanging two feet tall above your counter, they are bound to grab the attention of any nearby customers! We carry them in Black Velvet and White Leather. Both are very good options as both will accent any necklace or bracelet. I recommend that every store have at least one; you won’t regret it your decision! It’s impossible to go wrong with these T-Bars. *Click on the pictures to purchase them from our Online Store.